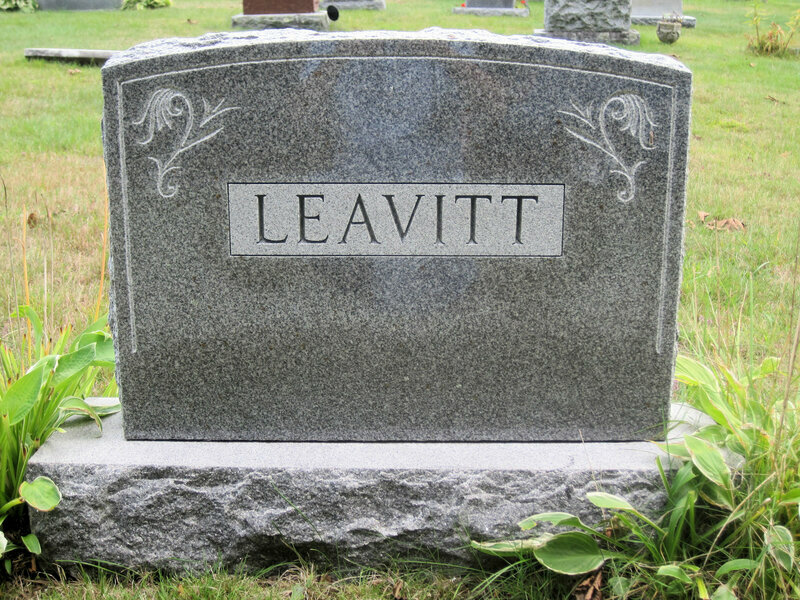 WILLIS EMMONS LEAVITT (Aaron F, Andrew J, Mark, Joseph, Abraham, Hobbs, John, Hezron, Thomas. 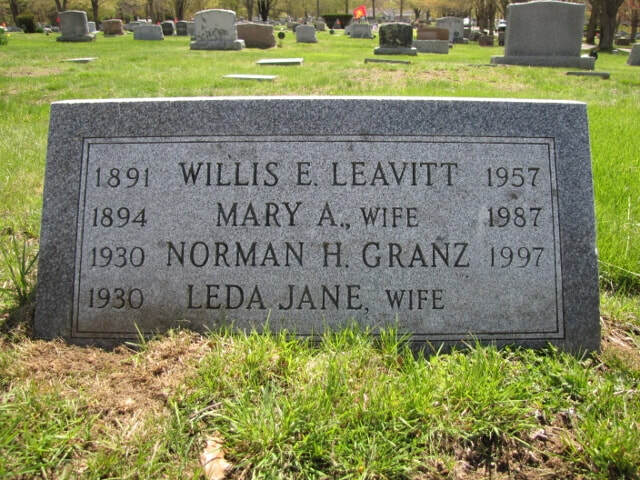 Front and back of - FRANK LEROY LEAVITT 1887 - 1948 (Daniel H, Washington, Joseph, Jeremiah, Joseph, Thomas, Hezron, Thomas. 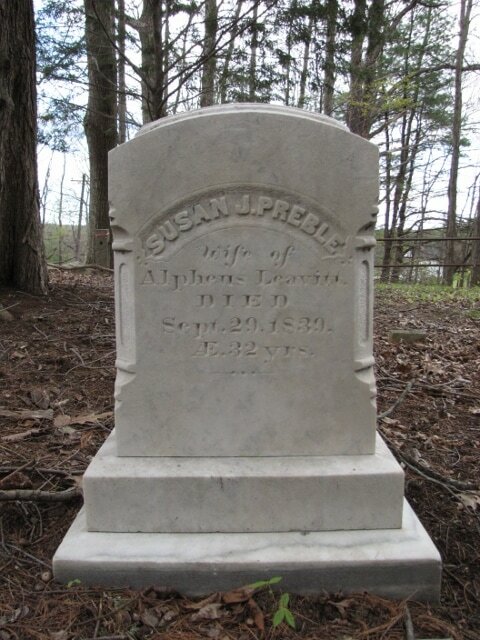 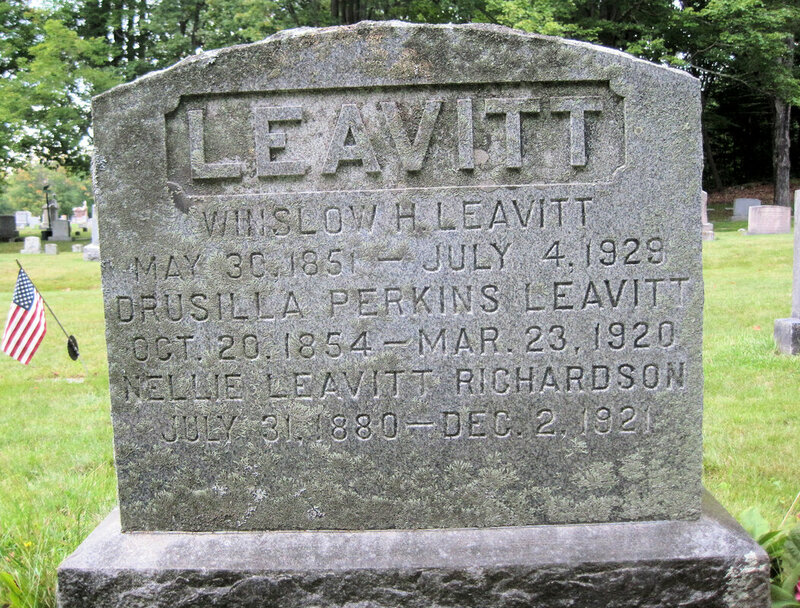 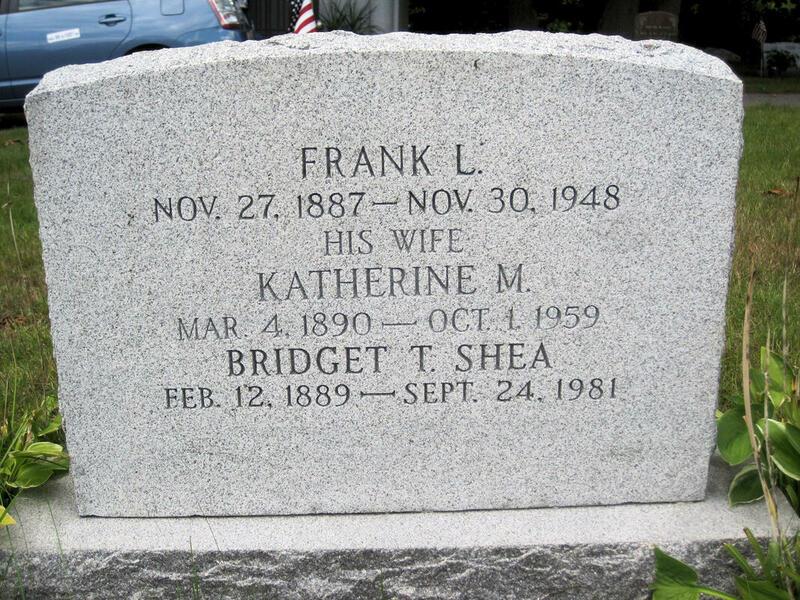 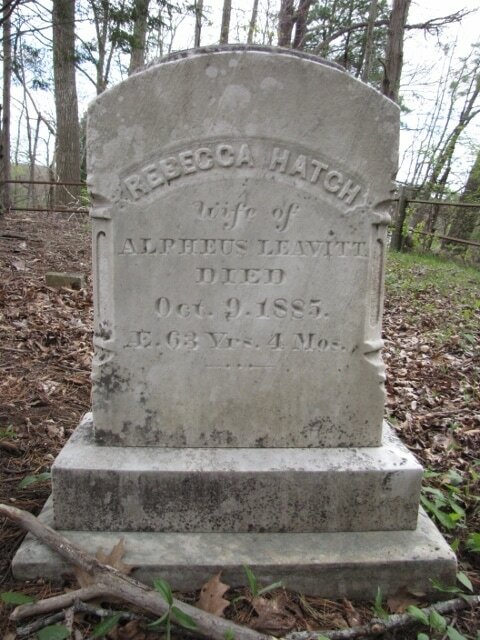 Winslow H Leavitt May 30, 1851 - July 4, 1929; wife Drusilla Perkins Oct 20, 1854 - Mar 23, 1920. 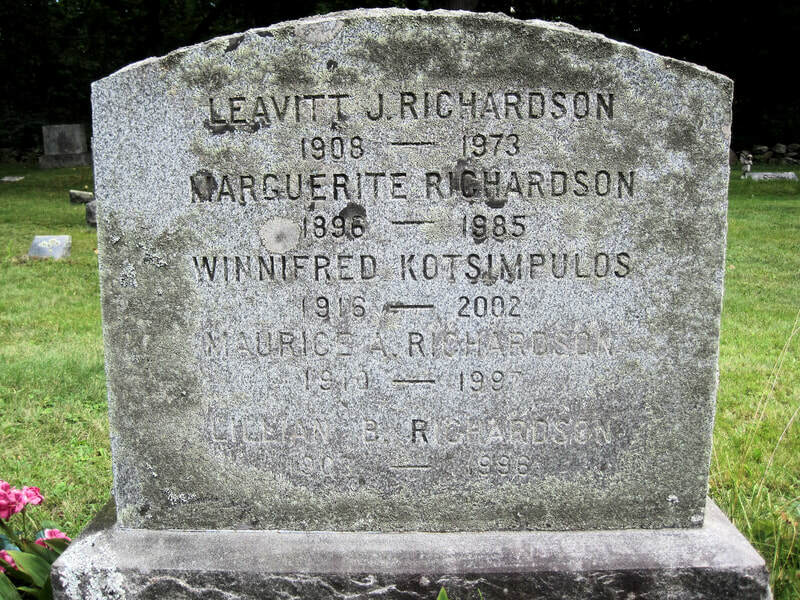 REVERSE of same stone: Leavitt J Richardson 1908 - 1973; Marguerite Richardson 1896 - 1985; Winnifred Kotsimpulos 1916 - 2002; Maurice A Richardson 1910 - 1997; Lillian B Richardson 1903 - 1996. 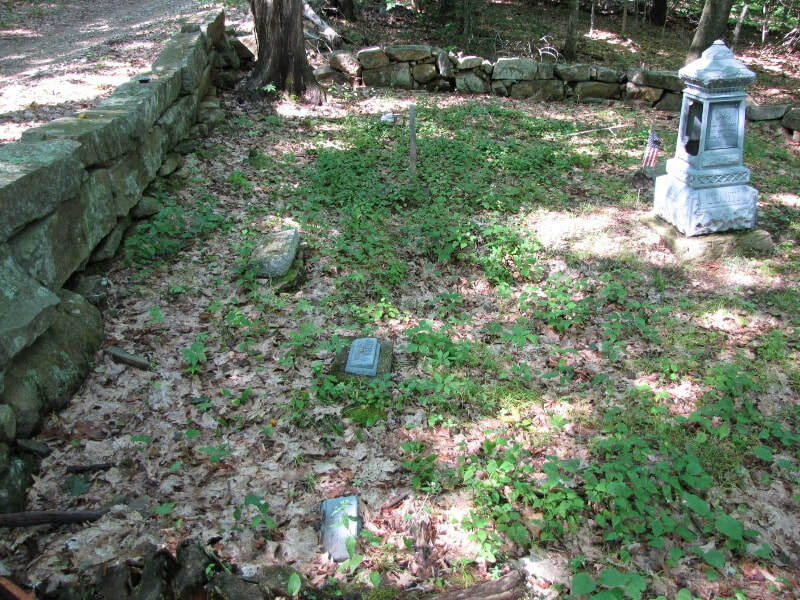 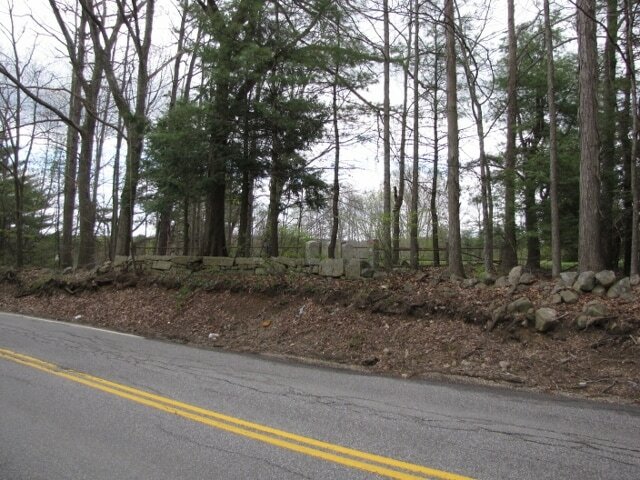 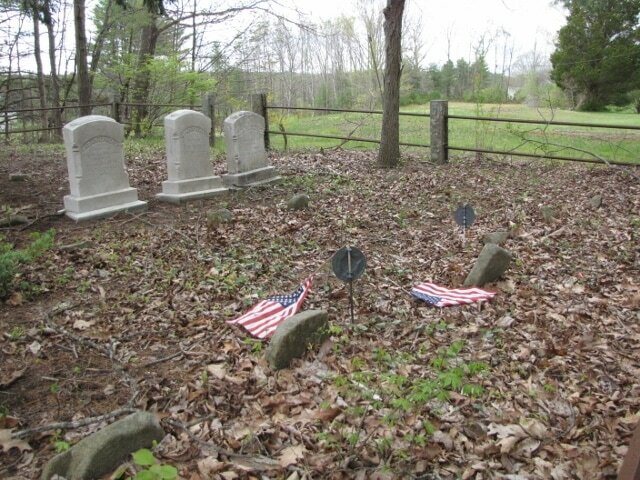 Cemetery has an entire row of unknown graves, including footstones. 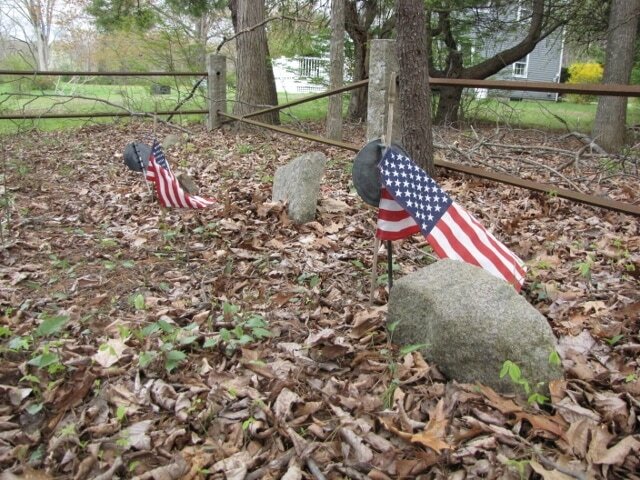 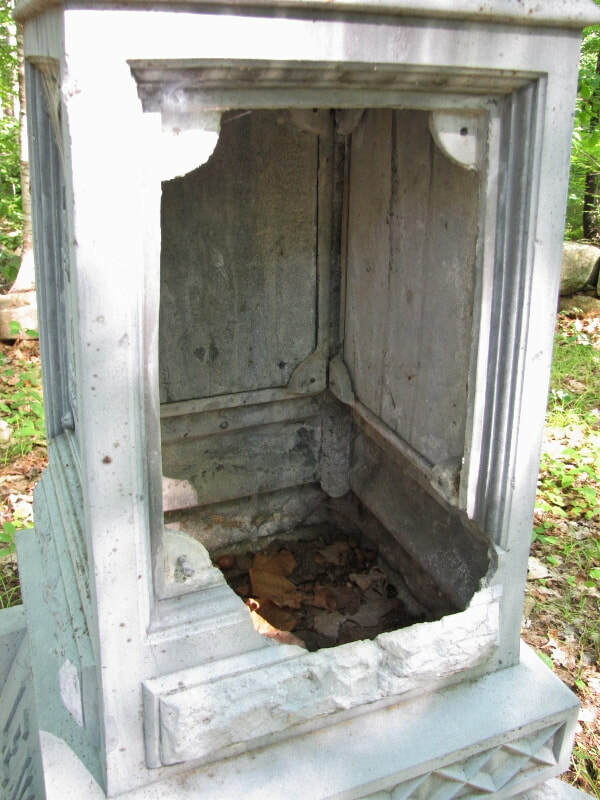 Two of these are decorated with flags and veteran markers, so it seems there's an organization that may know who lies here. 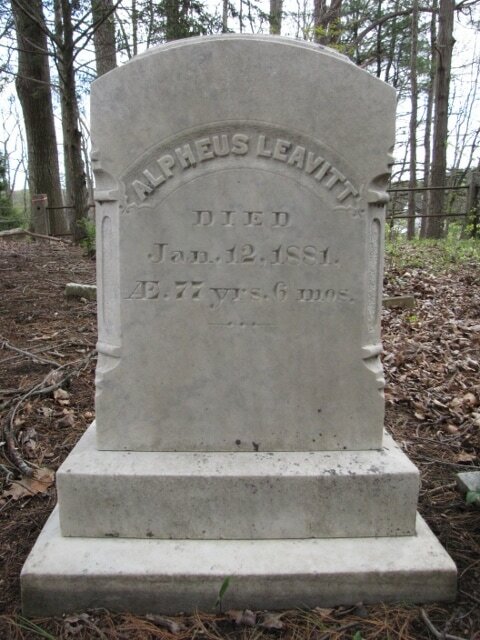 Alpheus Leavitt 1802-1881 and wives. 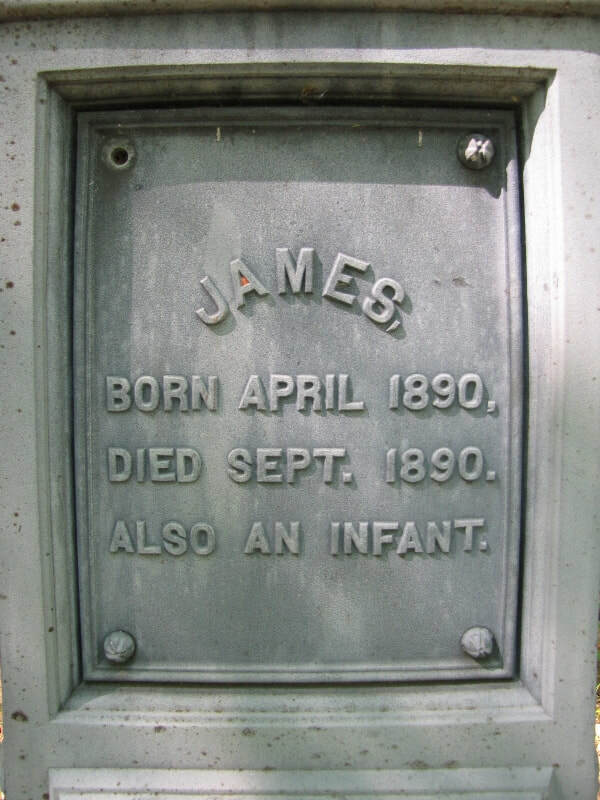 (Joseph, Jeremiah, Joseph, Thomas, Hezron, Thomas). 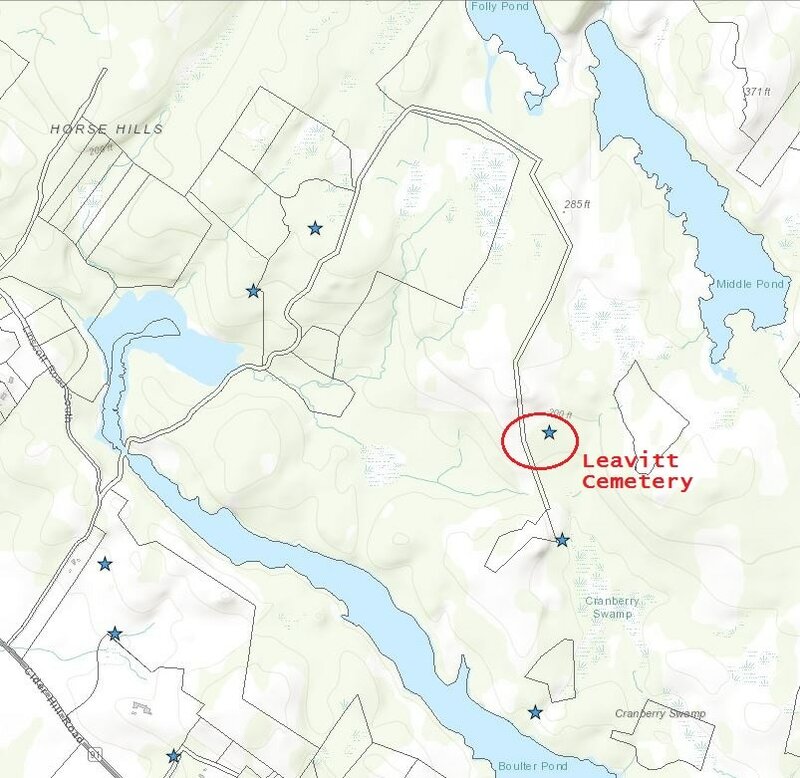 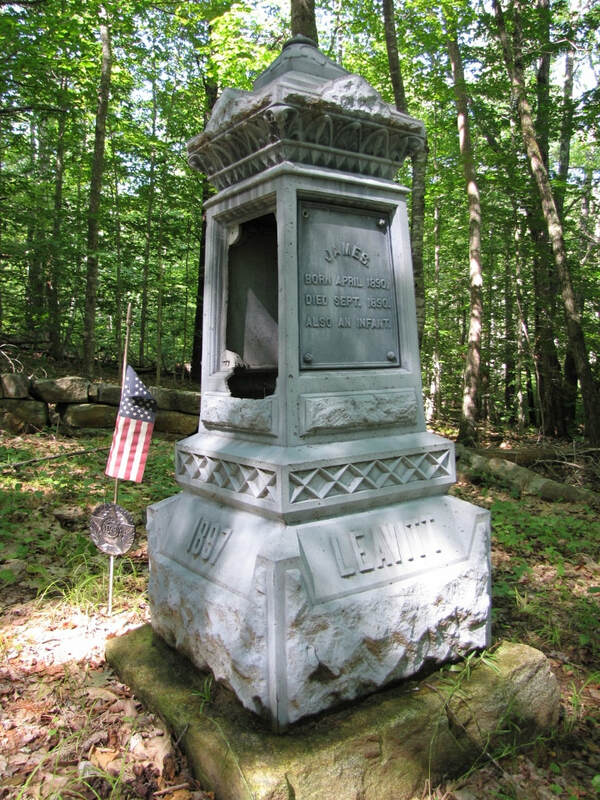 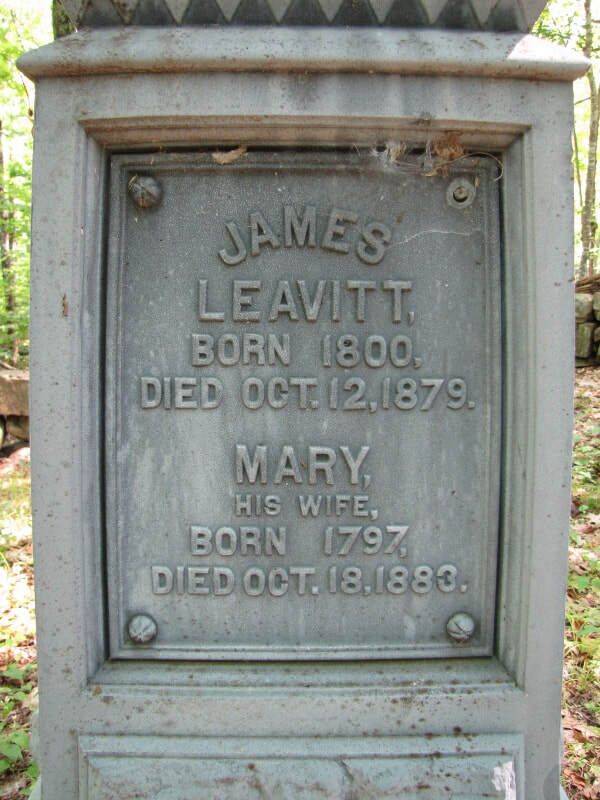 JAMES LEAVITT (1800-10/12/1879) (Joseph, Jeremiah, Joseph, Thomas, Hezron, Thomas).